The National Union for Democracy and Progress (NUDP) officials are also mobilizing militants to register massively ahead of forthcoming elections. 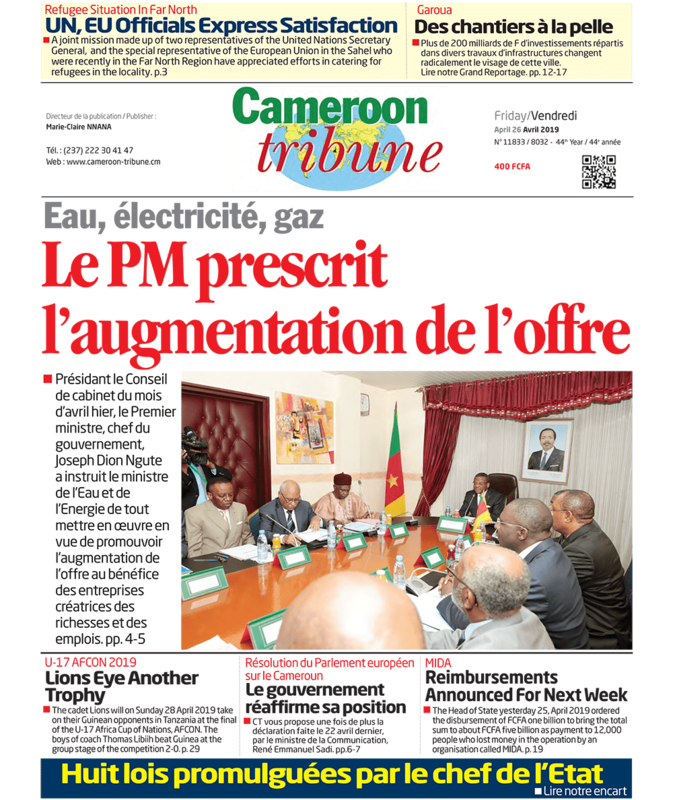 The National Union for Democracy and Progress (NUDP), Cameroon’s third largest political party is currently on the field at different fronts, renewing the executive bureaus of grassroots organs to put the right people in the right places ahead of the expected presidential, council and legislative elections this year 2018. The Director of the NUDP Headquarters who doubles as the Assistant National Secretary for Communication, Kuma Peter Kombain says , the party is almost through with the setting up of divisional federations. He disclosed that one of the last federations to be set up was that of Mayo-Tsanaga in the Far North Region with Mokolo as headquarters whose executive bureau is led by Kodji Sani Ousman. With the setting up of divisional federations almost complete, Kuma Peter said, the party has also embarked on the last lap of strengthening the grassroots structures with efforts focused on setting up and commissioning the executive bureaus of subsections and branches throughout the national territory. According to Kuma Peter, since the reintroduction of multiparty politics in Cameroon in the 1990s with one of the major hallmarks being the legislative election of 1992, the NUDP’s electorate has kept on increasing. The party therefore wants to maintain the trend in the 2018 elections. It is for this reason that party officials are also involved in the campaign to enable all its militants and supporters massively enrol in the electoral registers before electors are called to the polls for the different elections. The party wants to win more councils and seats in the National Assembly. In the second legislative period of the Senate, the NUDP has two appointed Senators up from one in the first legislative period of the Upper House of Parliament. Concerning likely candidates for the upcoming elections, Mr Kuma said some could be making background work. However, it is only the Central Committee, the governing organ of the NUDP that will nominate candidates for the various elections when the time comes. The Central Committee, he added, will also decide the constituencies and municipalities in which it will contest, probably depending on reports of their vitality filed by the basic organs.